Celebs flocked to watch the Los Angeles Dodgers in the World Series for the first time in 29 years Tuesday night, and it’s more of the same Wednesday … along with a big Astros fan. 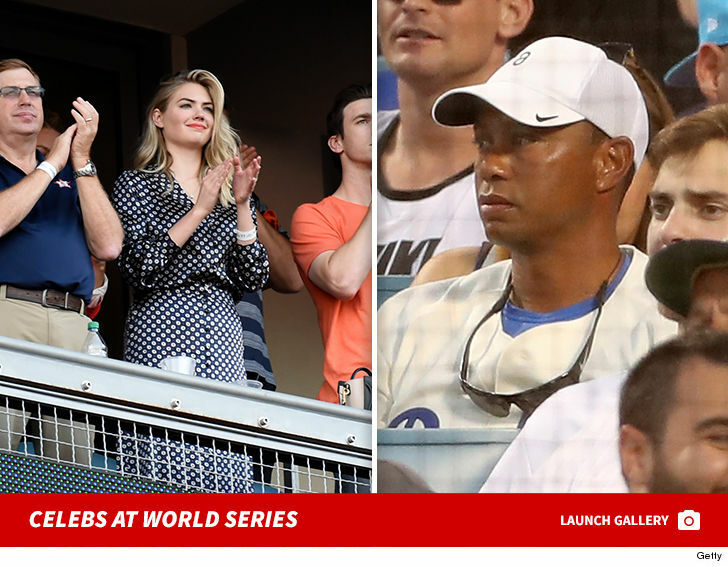 Tiger Woods followed in the footsteps of celebs in attendance for Game 1 to root on the Dodgers in Game 2, while Kate Upton‘s there to cheer for her fiance — Houston pitcher Justin Verlander. Peyton Manning‘s also in the crowd with the Astros owner. Before the game, Brad Paisley sang the National Anthem, and Dodgers fans were treated with something fantastic — an appearance by legendary announcer Vin Scully. 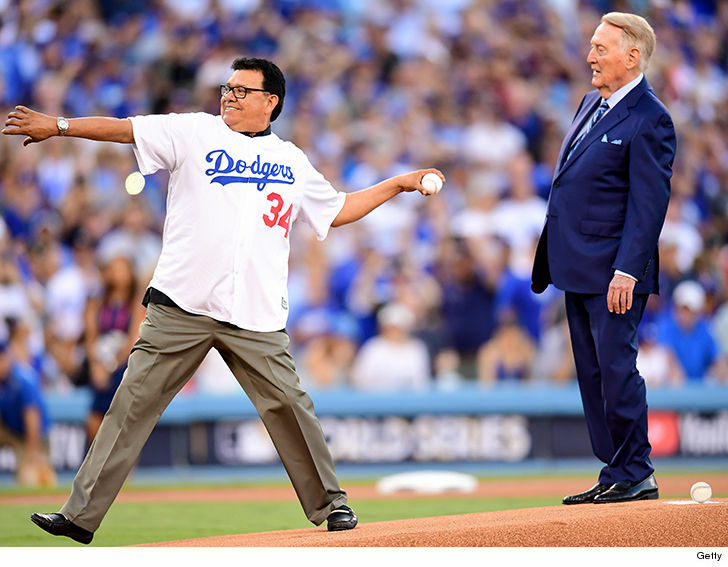 The beloved Dodgers play-by-play man returned to the ballpark for the opening pitch, but instead of throwing it out himself, he did what he does best … grabbed a mic and called up another Dodgers legend — Fernando Valenzuela — to do it for him.